All 8th grade students who plan on attending Morton West must register at Morton West on Friday, May 31st from 8am-2pm or on Friday, June 7th from 8am-2pm. Click on the link to see the important dates for the upcoming school year. 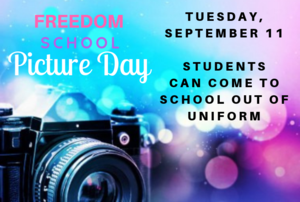 This virtual tour was created by Freedom's iSWAT team under the guidance of Mr. Saracini. You can interact with the tour by clicking on things to learn more about Freedom. Emergency School Closing Information can be found here. 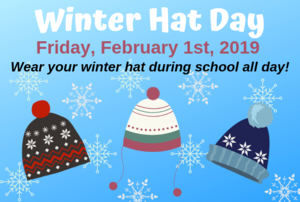 Friday, February 1st is Winter Hat Day! Students can wear their winter hats in school all day long. 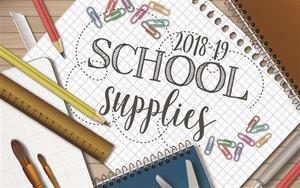 Please help your student be prepared for school by bringing supplies on the first day! Staff VS. Police Basketball Game!May 3rd @ 4PM. PTSA Family Scavenger Hunt Tonight!